Fill out the form with any questions or inquiries you have for the sales consultants at Shadow Wood. You can also call or chat with us for immediate responses. Continue on Towne Rd until 146th St. Community will be on the left. 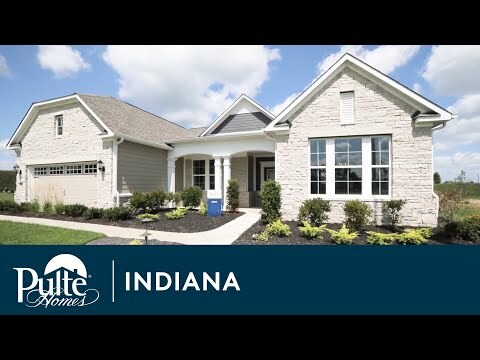 Located in the upscale city of Carmel, Shadow Wood offers exquisite new home designs minutes from popular shopping, recreation and entertainment spots. Shadow Wood contains a collection of elegant ranch homes for sale in Carmel with customizations to fit your every need. You'll be sure to find a new home perfect for you among its impressive exteriors and picturesque streetscapes. The life you want to live is waiting for you at Shadow Wood. Explore this community and see for yourself. Home Exterior EC3W - Details have been updated. See sales for details. Home Exterior EC2S - Details have been updated. See sales for details. Home Exterior NC3W - Details have been updated. See sales for details. Home Exterior CT1A - Details have been updated. See sales for details. Unfinished basement included | With its spacious foyer leading to an open gathering room, kitchen and café, the Belfort offers a smart layout with plenty of room to entertain. Home Exterior CT2H - Details have been updated. See sales for details. Home Exterior CR2H - Details have been updated. See sales for details. Home Exterior EC2W - Details have been updated. See sales for details. Home Exterior EC3M - Details have been updated. See sales for details. Unfinished basement included | The Croix ranch offers the flexibility to add a second-floor loft and bedroom or large covered porch perfect for entertaining. Flex Space that can be a Den, Hobby Room, etc. Home Exterior EC2M - Details have been updated. See sales for details. Home Exterior CT2G - Details have been updated. See sales for details. Unfinished basement included | The Lyon boasts a flowing layout with oversized kitchen island and spacious dining area. Spacious Loft for Media Room, Hobby Room, etc. Home Exterior HR2G - Details have been updated. See sales for details. Home Exterior EC3S - Details have been updated. See sales for details. Home Exterior CR2G - Details have been updated. See sales for details. Home Exterior EC3V - Details have been updated. See sales for details. Unfinished basement included | The Bourges boasts an open floorplan and added living spaces with a second level loft.